Reduce delays caused by scheduling conflicts. Record depositions from wherever you happen to be. Then instantly enter them as discovery. Exchange files and case information in real time. Cut the money and time you spend on travel. 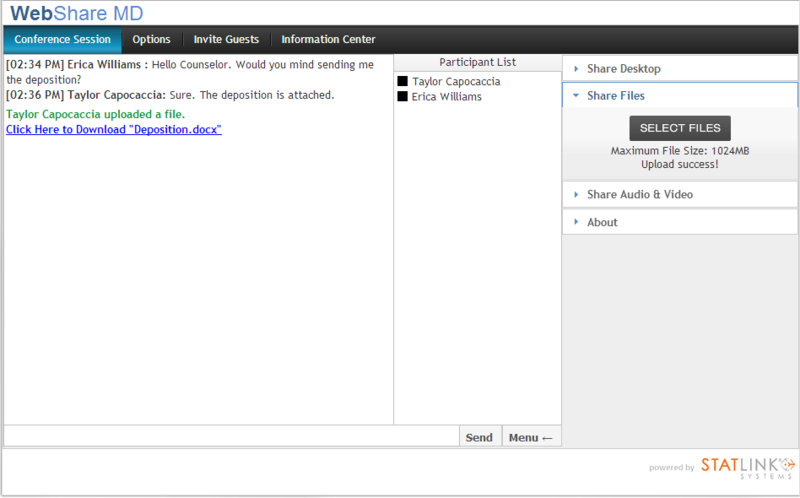 Send and receive case files immediately with live file data exchange and real-time desktop sharing. Hold videoconferences with colleagues or clients - person to person, person to group, or group to group - and end the hassle of getting everyone in the same place at the same time. Cut meeting expenses for yourself and your clients with virtual consultations. Meet clients face-to-face via webcam or securely exchange case information wherever you are - all they need is an email address.